TIME magazine has released the figure of 'Person of the Year' this year. Instead of naming a name, the magazine chose a group of names with the headline 'The Silence Breakers'. Amongst a number of names, there is Taylor Swift who became part of the cover of TIME with Ashley Judd, the Harvey Weinstein obliterator. Swift and Judd have in common to enter the ranks of The Silence Breakers: they are the ones who dare to speak out against harassment and violence. This group TIME selected as 'Person of the Year'. TIME had interviewed Swift related to his election into the ranks of Person of The Year this time. "Before the Harvey Weinstein case broke out, and before the #MeToo action swept the internet, Taylor Swift testified at the trial on August 10 about the assault case she experienced in front of everyone," TIME wrote as an opening interview. The interview with TIME is at once the first time Swift speaks to the media, having disappeared and avoided publication in recent months. In the interview, Swift recounted the incident of sexual harassment that happened to him in 2013, during a fan meeting session in Denver. Swift gets groped around the buttocks by a radio announcer, David Mueller. After saving it long enough, Swift finally dared to report Mueller to the police and therefore undergo a series of trials. Mueller was taken to the green table and fired from his job. The jury and the judge won the Swift lawsuit against Mueller, a compensation of only US $ 1 as a symbol of Swift's vote. While Mueller's lawsuit for Swift for damages due to his dismissal, the judge rejected. "I suspect that if Mueller is brave enough to harass me under risky and betting conditions, imagine what he might do to vulnerable young artists if there is a chance," Swift said. "It's important to report the incident to their radio station because I feel they need to know.The radio station did its own investigation and fired him two years later he sued me," Swift said. 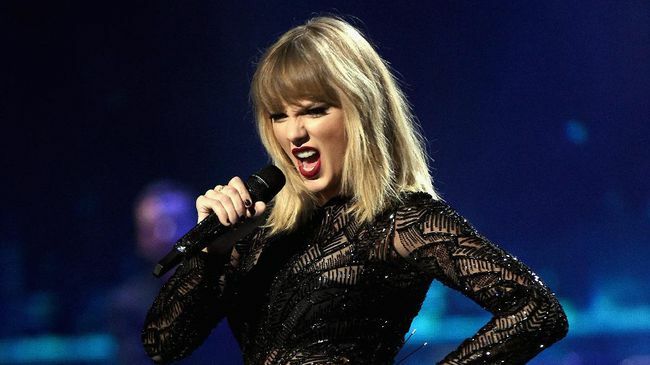 "I will tell those who are faced with situations like this, that there are many portions of wrongs inflicted on the victim of sexual harassment.You can be blamed for the incident, for the act of reporting it, or your reaction," Swift said. "But my advice is that the victims should not blame themselves and should not accept the mistakes they try to place on them." continued Swift, quoted from TIME. In addition to The Silence Breakers, TIME selected a number of names as runner-up 'Person of the Year'. They are US President Donald Trump, President Xi Jinping, former FBI Director Robert Mueller, North Korean Leader Kim Jong Un, NFL athlete Colin Kaepernick, and Wonder Woman director Patty Jenkins. 0 Response to "Taylor Swift Enter 'Person of the Year' TIME Magazine"